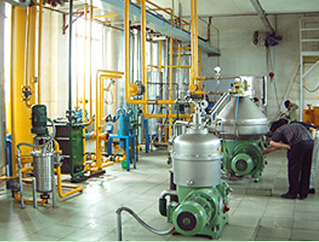 Our corn oil plants are popular worldwide. 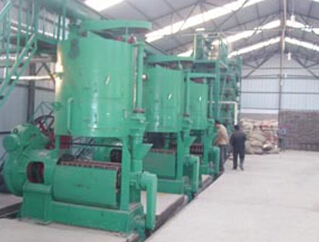 Below are two pictures of the corn oil processing plant we have established for our customer. The corn oil after pressing or extraction is usually called crude corn oil, and it needs to be filtered and then degummed. As for steam degumming, steam is introduced at a volume of less than 3% of oil and is absorbed by lecithin or other gums, which makes them heavy enough to be removed by centrifugation. In alkali degumming, a heated sodium hydroxide solution is used to absorb the gums and also neutralize any free fatty acids, followed by "washing" the oil with hot water to remove any soap formed in the process. By-products of the alkali process are sold as soap stock. 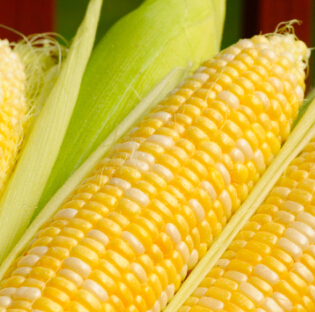 Corn oil is "bleached" with clay that has been "activated" with acid wash to remove any metals native to the clay. Clay absorbs color pigments, residual soap products and metal ions from the corn oil, and then it is removed from the oil by filtration. If a partially hydrogenated product, such as margarine or shortening, is produced in this process, the heated oil is exposed to hydrogen gas under pressure. The oil is refrigerated to crystallize any waxes, which are later removed by filtration. A continuous stream steam treatment deodorizes the oil in a distillation tower, carrying any remaining impurities out the top of the tower with the rising steam as the finished oil is removed from the bottom. 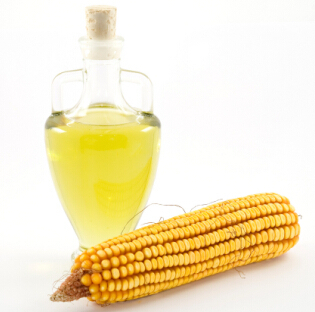 Corn oil, generally refers to corn germ oil, and it is usually for making nutritionally enhanced edible oil, lubricants, biodiesel, fuel, cosmetics and oil-based or oil-containing chemical products. Corn oil is very rich of Vitamin E. And the extracted corn meal is usually made into enhanced animal feed rations, snack food, blended food products, cosmetics and fermented broth additives.